In this Pre-Written Smart Shopping Content bundle –articles, a report compiled of the articles, keywords, and royalty free images, you’ll be able to teach your audience on how to shop wisely. Understand on what’s worth spending on your money with these tips and tricks that will guide you for your shopping. Learn also what to avoid. Everyone likes saving money. Help your audience on how to save money by shopping smartly. As sometimes you don’t need to spend a lot. Pre-Written Smart Shopping Content bundle that will help you bring in a traffic and readers to your blog because you’ll be talking about topics that people are searching for – like how to shop without spending much. They need a site that will talk about how to shop without losing much money. Give them solutions on saving money and time. They can use this information to really understand how it helps them. 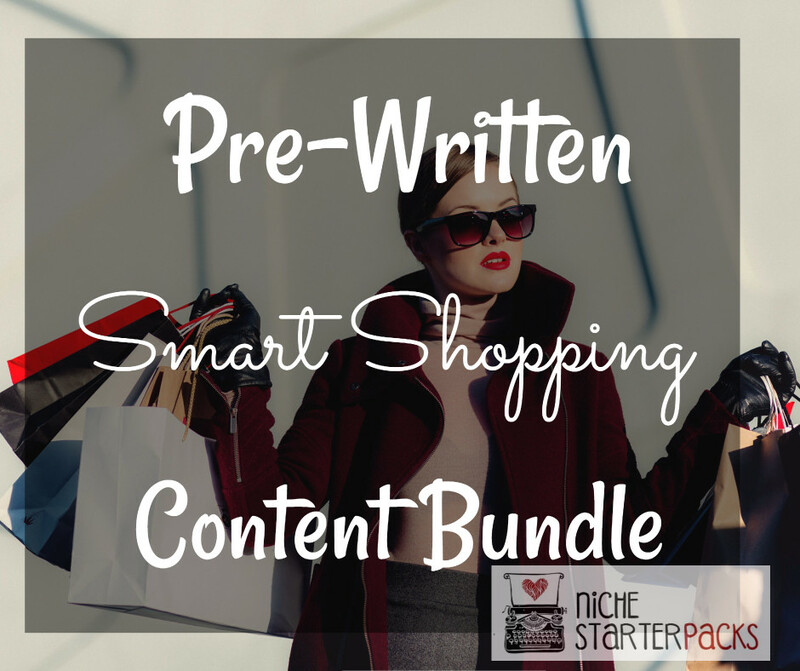 The Pre-Written Smart Shopping Content bundle will help you teach your audience about important topics that they desperately need because of the wide range of topics in this bundle. 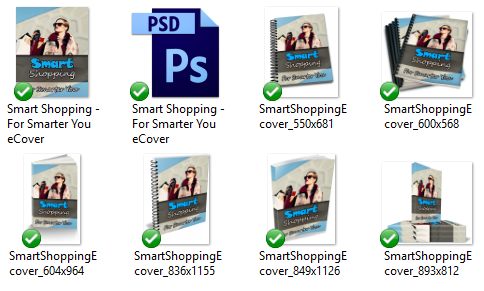 Pre-Written Smart Shopping Content Bundle (Articles, Report, Royalty Free Images, Keywords) – Get It All For $27! 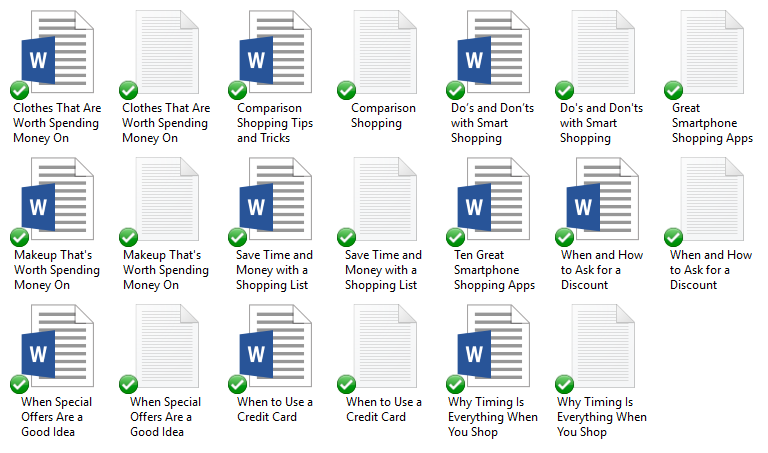 You’ll get a 22-Page report all about smart shopping. This is a great opt-in because it talks about shopping wisely – keeping budget and deals. This report is going to help you grow your subscriber list. But this isn’t all you’ll get…. This section is where you can guide your reader’s to sign up for the main opt-in report or let them know more details are available in a report that is for sale. Images are expensive to purchase, so I’ve found royalty free images that you can use with the articles or inside the report. Engagement with your audience is important and that is why we’ve included 10 social media blurbs for you to use. You can use them to promote the report and get more subscribers or send people back to the blog posts. I’ve come up with 200 long tail keywords all related to Smart Shopping – like how to avoid wasting money and taking advantage of sales . You’ll find some of these are what people like to call low-hanging fruit keywords while others have more searches. All PLR Products that you purchase from me are non-refundable. Don’t pass on PLR rights to anyone, so your customers only get personal use rights. Do not put my name on it. Please note – this is PLR that I have bought a special license to sell. I have added a lot of extra to the package to make it even better and more useful for you. But rest assured It is high-quality content. I provide it because I want to make sure my customers get the opportunity to purchase what they need when they need it. Make sure you don’t own this already. I will always let you know if a pack is under special license or not.